Most Students and nomads, live in small and messy places. 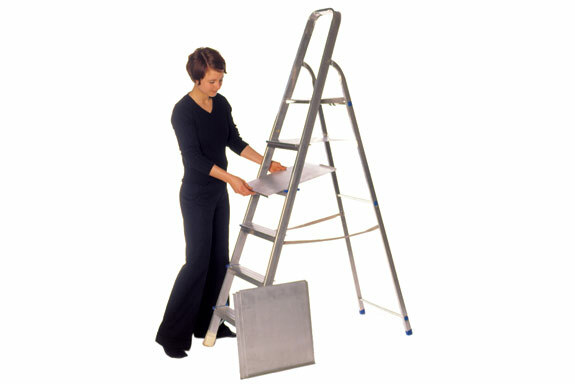 They usually require a ladder but only for the move and few other occasions. 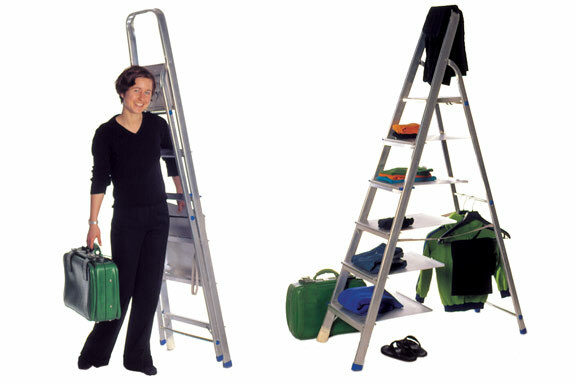 “Stud.steps” quickly turns a standard industrial-ladder into a shelf and back again. These aluminum sheets are pretty light, easy to handle and store.